We want people who can bring new and different thoughts about industry in the future. Is that you? Joining Hydro means joining a strong team, and seizing the opportunity to shape a sustainable future through innovative aluminum solutions. Our work is technically challenging, which is why we offer all employees the education and training needed to be at the top of our industry. 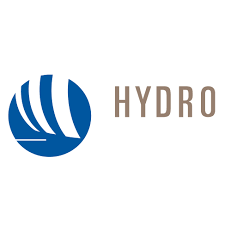 In Hydro, you will find many opportunities to apply and grow your knowledge in collaboration with your colleagues locally and from our entire network. Hydro stands for quality and safety. We continually work to improve your working environment, just as we do with the products you develop. We never compromise on the safety of our employees. And we offer competitive compensation, health care and welfare packages.